These words come to mind when I think of this, particular summer. I have never been more carefree and just plain happy, and it all started back in June with a cozy family breakfast in my garden, featuring this Banana Bread. Now, I’m not saying that Banana bread is responsible for a wonderful summer, and you wont believe me if I do, but rather my happy mood inspired this very easy and very tasty treat. Bitter a loaf pan and sprinkle it with a light coat of flour, to prevent sticking. Stir in the salt, baking soda, sugar, beaten egg, vanilla extract and espresso powder. Mix in the flour and add raisins if using. Pour batter into the prepared pan. Bake for about an hour or until a toothpick inserted into the center comes out clean. 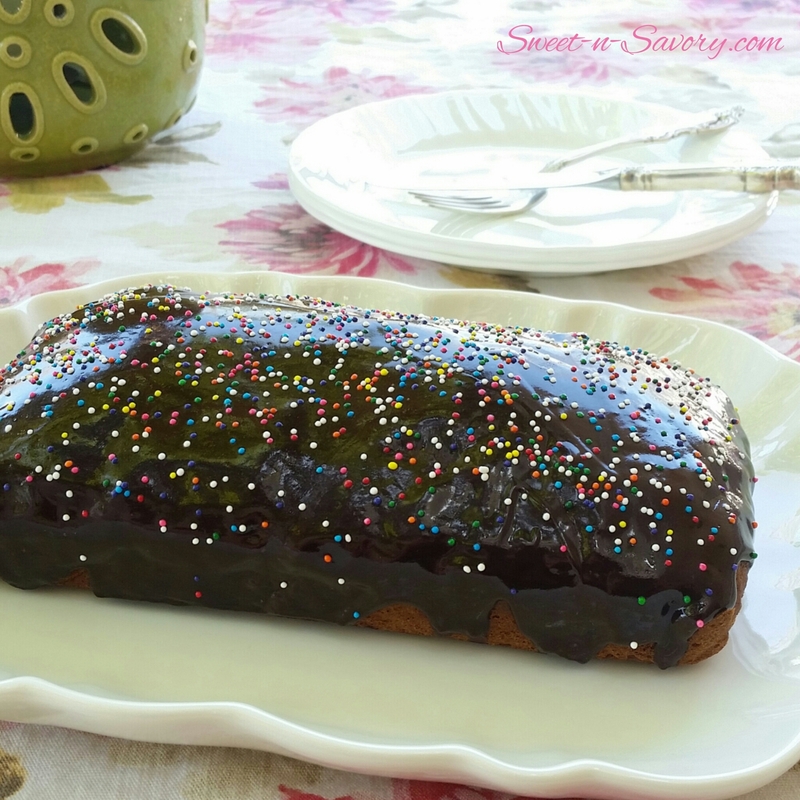 If you wish you can glaze the banana bread with chocolate ganache and decorate. Pour a cup of coffee, slice a piece of banana bread and enjoy! In a sauce pan over medium low flame, heat equal parts bittersweet chocolate chips with heavy cream on a stove top until smooth.